As winter nears, your baby’s skin needs to be protected! The cold snap, harsh winds and dry air can hurt your baby’s skin. We know, because we have a sensitive skin baby. She breaks out easily and needs her skin to be protected from the harsh outside weather. When we are inside, our baby’s skin completely dislikes the dry indoor air from the heating. 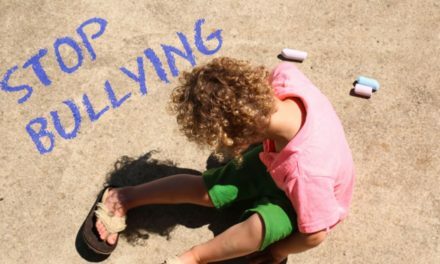 How can we protect baby’s skin and also help it thrive by nurturing it? 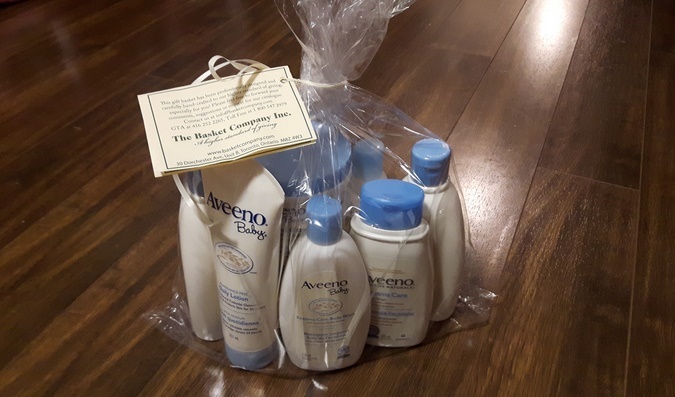 We were given an Aveeno package to envy all baby care packages. 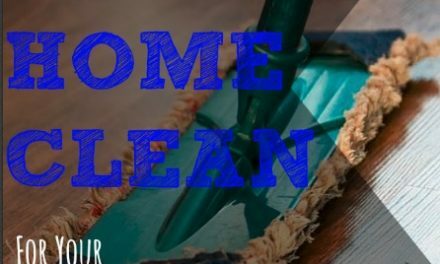 We decided it was time to ditch our baby’s itch and give it a try! Our baby has sensitive dry skin that can break out easily. We want to protect our baby’s skin and nourish it and we know that AVEENO has our babies skin covered this cold weather season. 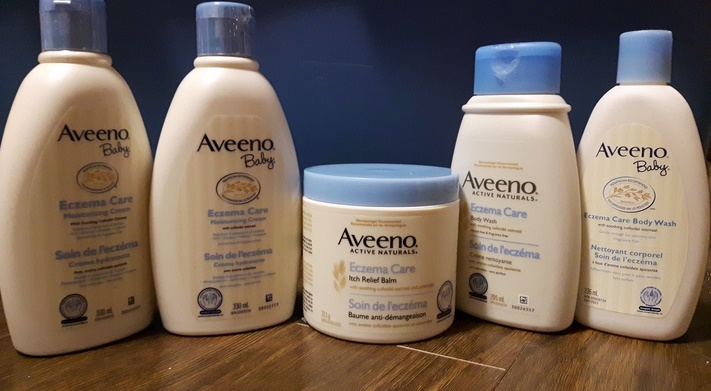 Since November is Eczema Awareness Month, we wanted to try AVEENO Daily Care line for our little ones everyday skincare needs. 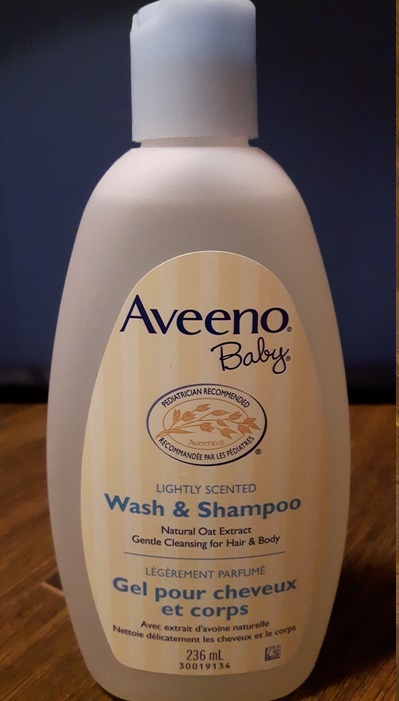 During bath time, we tried the Aveeno Baby Wash and Shampoo for our baby! Since our baby breaks out so easily, we are always concerned about shampoos and the chemicals that they have. We did not have to worry about AVEENO! Their natural oat formula is blended into a rich lathering, tear free cleanser. We love that it cleanses our baby without drying and can be used on skin and hair. It was gentle and left our babies skin looking soft and smooth. This is a hypo allergenic formula and is gentle enough for newborns and babies with sensitive skin! We did not have to worry about our baby breaking out after her bath. What a relief! The shampoo and wash also has a fresh fragrance. It’s subtle and safe. Our baby was happy after her bath instead of feeling irritated. After we dried her, we thought we decided to lotion her with AVEENO BABY Daily Baby lotion. This lotion contains natural colloidal oatmeal, dimethicone and allantoin to help soothe and protect a baby’s skin. We loved that this formula was non greasy and fast absorbing. 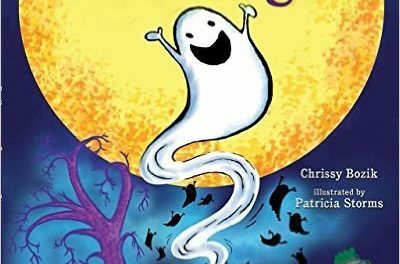 It glided on our baby’s skin easily but did not leave any stains on her pajamas. We were happy to learn that the formula contains no dyes, is non-comedogenic and it was fragrance-free. The Daily Baby Lotion kept our babies skin moisturized for 24 hours so we did not have to worry about reapplying lotion every few hours! Just because it’s fast absorbing, does not mean it has alcohol in it! 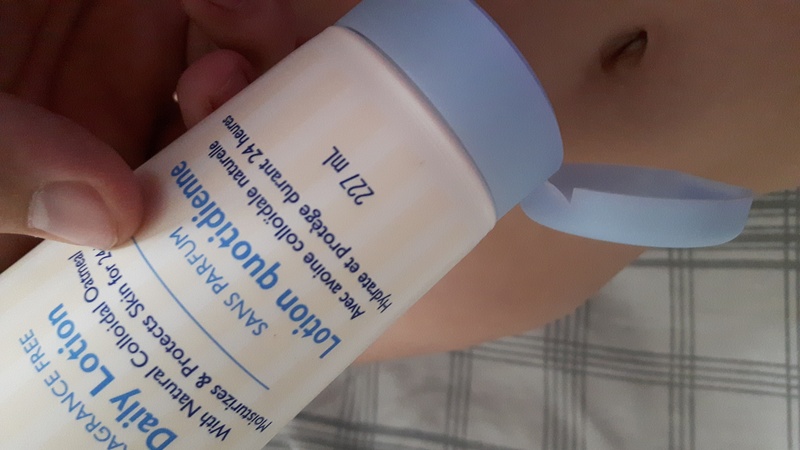 This lotion is alcohol free and did not clog our little one’s pores. Most of all, she did not break out. We think we have found the perfect lotion for our rash prone baby! We love that AVEENO also has an Eczema Care Body Wash and Moisturizing Cream for babies who have eczema prone skin. We tried the Eczema Care Body Wash and we were thrilled. It is mild for baby’s skin and cleanses without damaging the skin’s natural barrier. 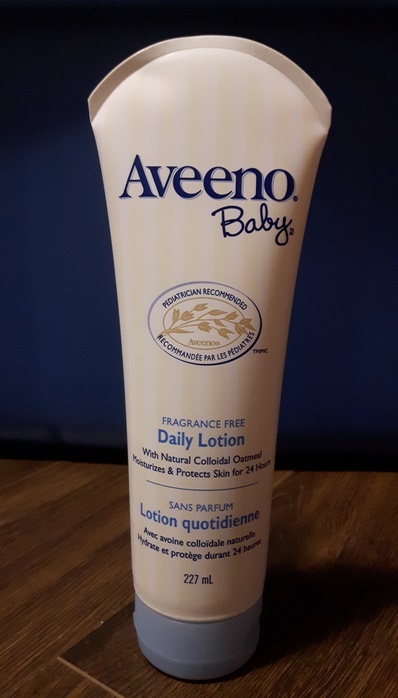 We were also pleased to find that it was available across Canada, along with other Aveeno products. This makes it easy to buy more once we run out without having to go to a specialty store or search online. The Eczema Care Moisturizing Cream was our favorite. This cream is Steroid free, unlike many of its competitors! There is no fragrance and is safe to use all over the body. If you find that your baby suffers from red, itchy and extra dry skin, use this cream. It will work wonders. Also, as a new Mom, my skin has changed and I have developed some sensitivities to the cold. I also use this moisturizing cream and it brings my skin feeling back to its normal self, pre baby. It’s not bad if Mommy uses the cream too from time to time, isn’t it? 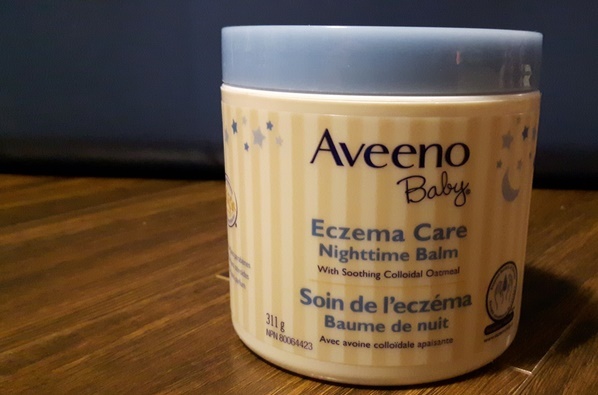 After a long day playing with friends and running errands, we have made Aveeno Baby Eczema Care Nighttime Balm a part of our nightly before bed ritual. Developed by leading dermatologists, the balm is formulated with a high level of glycerin to help intensely moisturize and provide immediate and long-lasting moisture through the night. This balm is perfect for those winter nights, when the skin has been indirectly exposed to cold and is now inside, under a heating system. This formula is clinically proven to help soothe and protect recurrence of dry, itchy skin when applied at bedtime. Since our baby cannot communicate with us and we are still learning everything about her, we want to know that we can make her as comfortable as possible. We want products that are non-greasy, not filled with harsh chemicals and that will protect her new skin and nourish it, not take away its soft feel. We also want this to happen without leaving itchy blotches or red marks. We trust Aveeno will keep our babies skin smooth and safe throughout the winter and it really came through. Aveeno has our babies skin covered this winter! Visit them on Facebook and YouTube.